Hungarian Prime Minister Viktor Orban’s Fidesz party won a 2/3 supermajority in parliament. This stunning victory proves that the Soros-led anti-government campaign was woefully ineffective and may have actually been counterproductive by strengthening Orban’s appeal by reinforcing the country’s developing “siege mentality”. Hungarians already feel under threat from the world at large ever since the Migrant Crisis, while they’ve come to view Brussel’s hostility to the national sovereignty policies that they’ve implemented in response as a sign of regional aggression. The “internal siege” by pro-Western NGOs and foundations might have pushed some on-the-fence voters to side with Orban out of fear that anything less than his party’s decisive victory could endanger their national and cultural security. The end result is that Hungary has defended its reputation as a bastion of EuroRealism and made it impossible for the EU to sanction its ideological ally Poland because of the bloc’s inability to reach the necessary unanimous decision in this regard given that Orban has remained in office and is firmly opposed to this. Therefore, the Polish-Hungarian “Three Seas” axis will only tighten in the future and continue to expand its appeal in Central and Eastern Europe after proving that it’s possible to stand up to the EU’s liberal-globalist elite and succeed so long as leaders have the public’s sincere support like Orban does. He’s been able to accomplish this through the ironically masterful employment of interwar Italian Marxist philosopher Antonio Gramsci’s theory of “cultural hegemony” which essentially asserts that cultural change must always precede profound political change in any society. 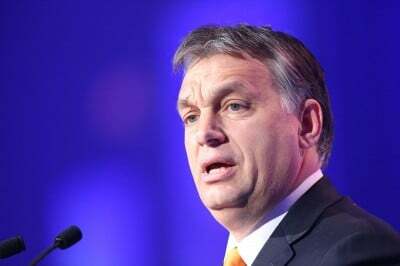 The New York Times recently talked about how Orban pulled this off in an article titled “How Viktor Orban Bends Hungarian Society to His Will”, which despite its negative angle makes for an instructive read if objectively assessed. The outlet describes how Orban has inserted his EuroRealist ideology into civil society, the arts, grade school textbooks, universities, and the media in order to make Hungarian culture an instrument for advancing and sustaining his revolutionary ideals. It should be remembered that left-wing and violent organizations don’t have a “monopoly” on “revolutions”, which can be generalized as just being the change from one organizational system to another, so it’s entirely accurate to describe the Hungarian leader as a political and cultural revolutionary (or counter-revolutionary, depending on ones’ perspective) in liberating his society from Brussels’ liberal-globalist yoke and returning it to its conservative-nationalist roots. The previous weekend’s election can therefore be interpreted as a popular referendum on the revolution, which Orban won with flying colors in proving that the vast majority of people are firmly behind him every step of the way.